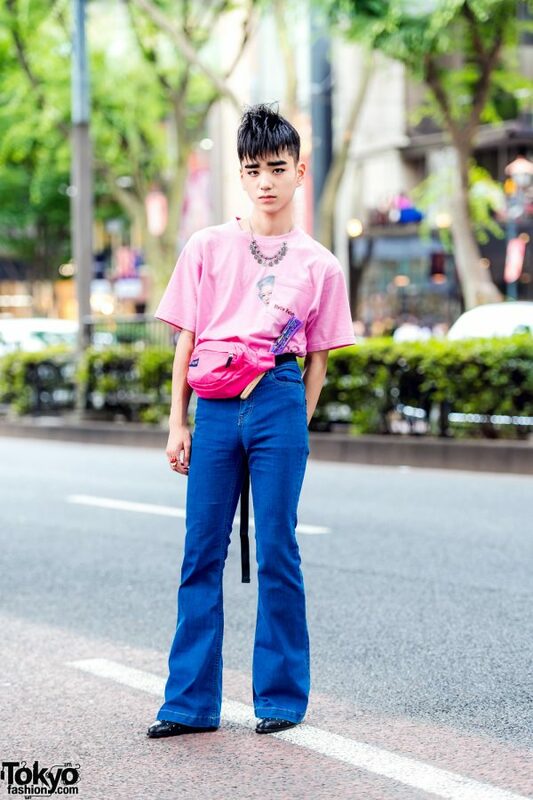 We bumped into Billimayu, a 16-year-old student who is a familiar face on the Harajuku streetwear scene. 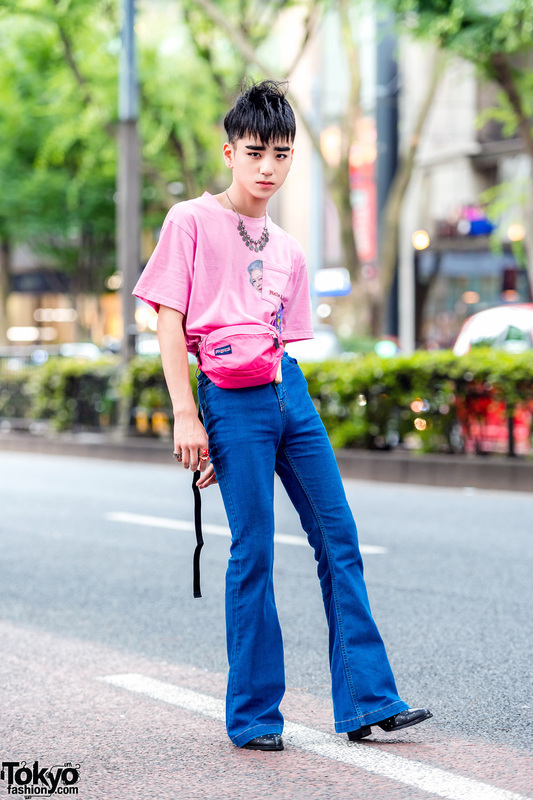 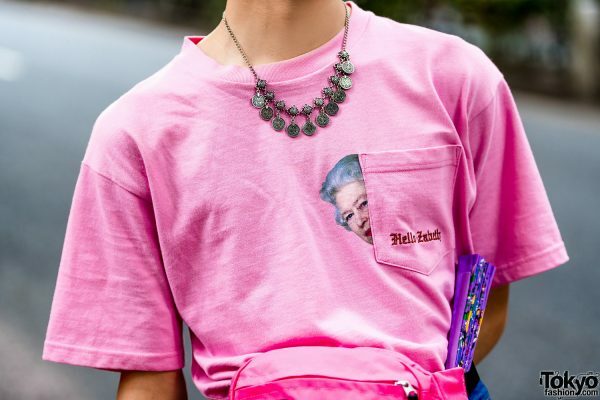 Sporting teased hair and thick eyebrows, Billimayu is dressed in a pink Queen Elizabeth pocket t-shirt from Oh Pearl Harajuku, which he tucked into flared denim pants from Forever21. 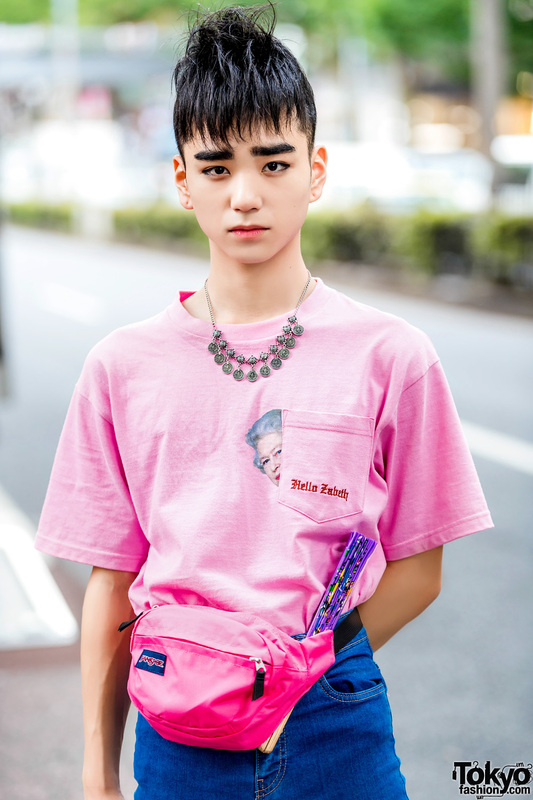 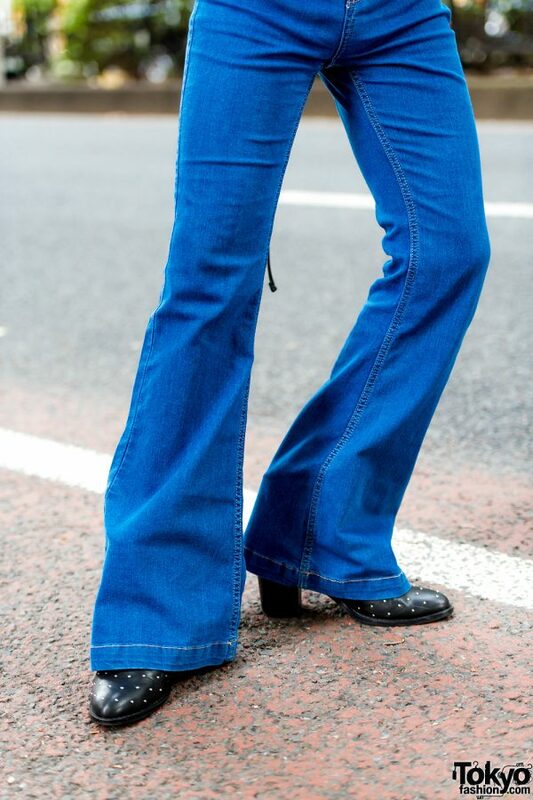 He slipped into studded heeled boots from Forever21, accessorized with a vintage coin charm necklace, and a purple printed fan tucked into his pants. 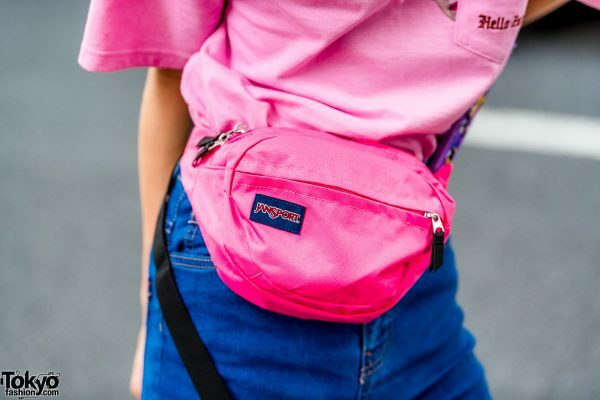 A pink waist bag from JanSport finished off Billimayu’s look. French luxury fashion brand, Givenchy, is Billimayu’s fashion favorite, and he enjoys listening to Big Bang. 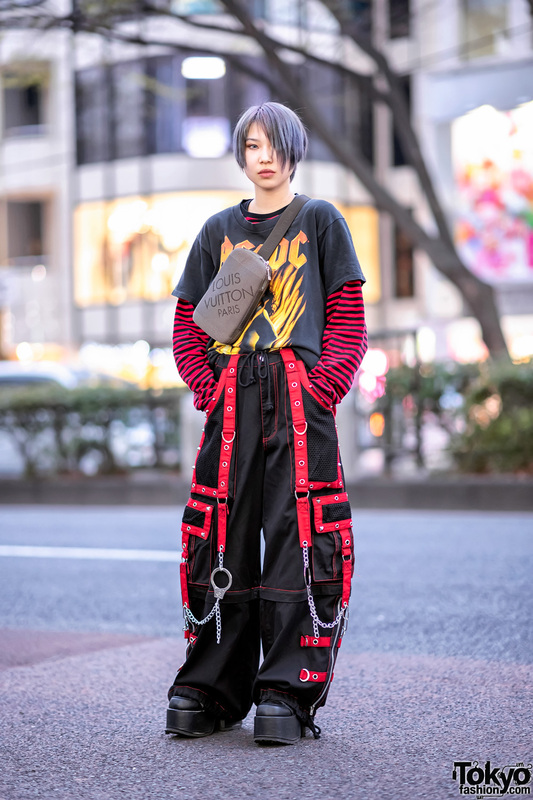 Check out Billimayu’s style feed on Twitter and Instagram.